Explore the varied delights of the Amhara region of Ethiopia and the ‘Roof of Africa’, the Simien Mountains. This shorter trip will pack in a myriad of history, culture and some of the best scenery in Africa. See the palaces of Gondar before you visit the Simiens, a World Heritage site with unique wildlife and stay in Ethiopia’s best lodge at the end of your trek. Then head to the world-famous 12-13th century ‘Rock-Hewn’ churches in Lalibela, carved from single pieces of rock. Make sure to leave enough time to explore Addis Ababa on your way in or out! Discover an amazing range of Ethiopian wonder. From unique Churches, Monasteries, Waterfalls, Peaks to some of the best views in the world. Experience a taste of all Ethiopia has to offer, both natural, historical and cultural, in this 7 day tour. Trek the Simien Mountains with a knowledgeable local guide. The jagged panoramas are staggering, with sheer cliff faces and gorges over 1.5km deep. The paths you’ll use are also used by the local fauna, so keep a lookout for Gelada Monkeys and Walya Ibex as well as many other endemic flora and fauna. Tour the ancient rock-hewn churches in the city of Lalibela. You’ll be stunned by the photos, but we promise they don’t even compare to seeing them in real life. Compare these to the amazing castles of Gondar. Explore Addis Ababa, the historic capital city recently named by the European council of tourism as the #1 tourist spot in the world. See Lucy an ancient skeleton, who changed the story of man, and visit Saint George’s Cathedral, a famous rastafarian pilgrimage site as well as the local markets. Take a short flight to Lalibela, known to some as ‘The New Jersusalem’, home of the extraordinary rock-hewn churches. Haile Selassi reportedly risked his life to make a solo pilgrimage here during the war with Italy. Discover Biete Medhane Alem (House of the Saviour of the world), believed to be the world’s largest monolithic church before navigating through the system of trenches to arrive at Biete Ghiorgis (House of St. George), the most famous and isolated of all the structures. In the evening head for dinner at one of Ethiopia’s coolest restaurants, a crazy structure of concrete walkways and elevated seating areas, with some of the best views of the surrounding mountains and excellent food. Take an internal flight to Gondar, the old capital of the country. Your first stop will be Debre Berhan Selassie Church, whose heavy and unassuming stone facade hides the colourful frescoes inside. After this you will head to Fasil Gebbi in Gondar for a guided tour. Now known as the Royal Enclosure, this was initially founded in 1636 and built by Emperor Fasilides as his home. The buildings span over 70,000 metres of land and include palaces, libraries, lion houses (cages), royal baths, and a women’s vocational school built by Mentewab, the Empress of Ethiopia. Multiple architectural styles and influences jostle for position. The influences include Indian, Portuguese, Moorish and Aksumite. There are not just architectural multiples: you may notice the star of David in Fasilida’s palace, as with other cities in Ethiopia, there is a history here of many religions living in close proximity. A car will pick you up from your hotel in Gondar take you to Debark, the headquarters of the Simien Mountains National Park, known as “The Roof of Africa”. Here you’ll meet with your trek leader and cook who will talk you through all aspects your hike in the next few days. You’ll take a 4×4 some of the way to your first camp at Sankaber, but you will walk the final stretch (approximately 3 hours) in order to acclimatise to the altitude. Ascending to over 3,000m above sea level and with a jagged landscape, you’ll be stunned by the views. You’ll be met with drinks, snacks at the campsite when you make it to Sankaber. All camping gear can be provided if necessary, although do bring some warm things, it can be below freezing at night. The food is cooked by candlelight by your very own chef and is often better than restaurants in larger towns. The first day of proper hiking starts with breakfast, and then a trail along the ridge. This gives you a vantage point and incredible views over the foothills some 800m below. The mountains are known worldwide for their biodiversity: Ethiopia’s placement on the equator makes this mountain range a particularly temperate one. Your guides will point out flora and fauna of note, but regular sightings on this trail are of Gelada Monkeys, Kilspringer and Ibex. From your great height you’ll be able to watch birds soar on the thermals below. A highlight of today’s trek is Genbar Falls, a waterfall over a sobering 500m sheer drop which you’ll view from a vantage opposite. After a break for lunch, you’ll continue onwards to the camp, where there are sensational views and a chance to watch the Gelada Monkeys as they clamber down the vertiginous slopes to their sleeping spots, before another night in a campsite with fabulous views. Length of hike: 7-8 hours/15km. Set off early Today your destination is Imet Gogo, a headland with unbelievable 360 degree views of the surrounding Simien Mountains. You can see West, back towards Sankaber and Geech, and South East along a large Gorge. This is one of the most staggering views you’ll ever see. You’ll return to Geech and then down through a river valley and up to the road, where you’ll be met by the 4x4 in the early afternoon. 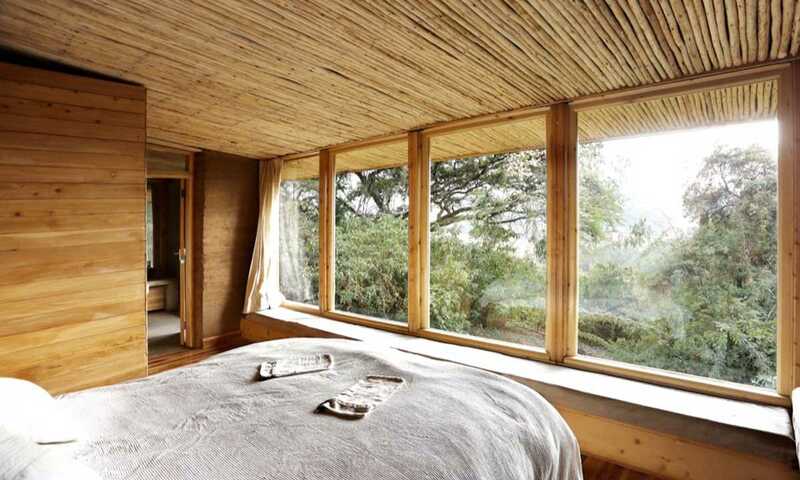 After a 1.5 hour drive, you’ll reach Limalimo, renowned for being one of the best lodges in Ethiopia, where you can shower, rest up and enjoy a comfortable bed, wonderful food and amazing views. Today marks the end of your adventure in Ethiopia. Depending on your international flight departure time, catch a 1:10PM or 4:15PM flight back to Addis. This trip can run as a group trip, with prices starting from $1,440 per person for a complete group. If you are looking to join a group or you are a solo traveller we will help to form likeminded groups of travellers. Please let us know your travel plans. Domestic flights: from Addis to Lalibela, Lalibela to Gondar and Gondar to Addis. Airport pick ups and drop off in Lalibela, Gondar and airport pick up in Addis. All accommodation as per the itinerary with BB and at Limalimo lodge based on full board. Entry fee, city transfer and guide in Addis, Lalibela and Gondar. Road transfers Gondar to Simien, Simien (Ayna Meda) to Limalimo and Limalimo to Gondar airport. In Simien 2 nights: entry fee, guide, scout, cook, mules and muleteers, camping and cooking gear except sleeping bags. Meals and drinks in all places except breakfast at hotels and FB at Limalimo lodge. Anything not specifically mentioned on the included section or any other arrangement out of the itinerary.